Tired of U.S. politics and wanna emigrate? 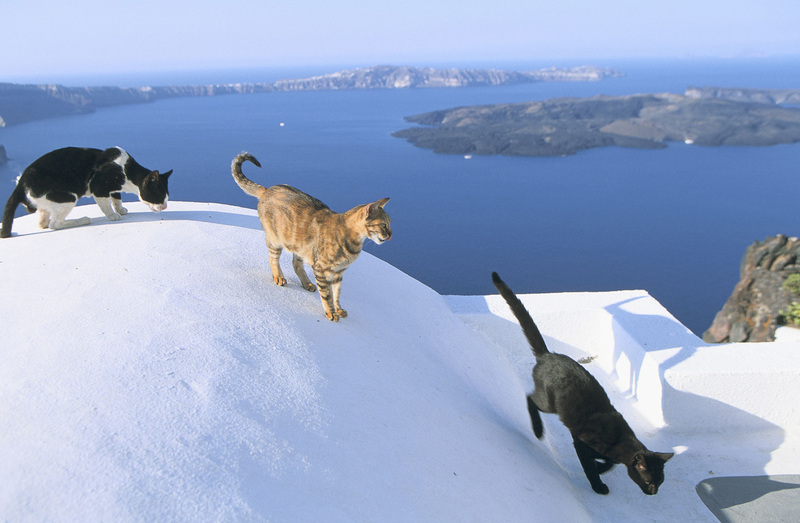 This PURRfect dream job could be your ticket away from American craziness straight to the land of spanakopita and feta cheese. And cats. Lots of cats. The job takes about four hours a day of work and involves feeding, cleaning up after, medicating and loving the 55 cats at the sanctuary. What the job may lack in financial remunerations it makes up for with peace and quiet. Interested, mature cat-lovers who can commit for at least six months can apply and video interviews will be held at the end of August. The more experience the job candidate has working with cats the better, the posting says. But be forewarned! Competition for the job may be tough. 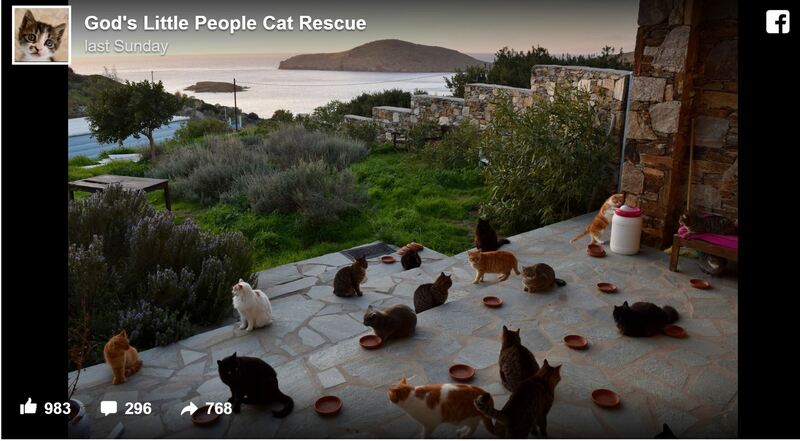 A follow-up posting on Wednesday God’s Little People Cat Rescue’s Facebook page indicates the response to the post has been overwhelming. Mousebreath Magazine is an award-winning online magazine that celebrates cats and the cat-centric lifestyle. Editor Karen Nichols is a popular conference speaker and writer, whose current project is The Cat Scout Handbook. She is also the denmaster at CatScouts.com. Many friends sent me this job posting, and for Eastside Cats, there are two humans! The Hubby is the cat whisperer, while I’m more of the nuts-and-bolts part of the duo. Mousebreath Media publishes Mousebreath Magazine which has an engaged following of passionate pet owners. In addition to publishing, Mousebreath Media also provides consulting services for Wordpress design, migration and integration, expert evaluation of your blog for usability and SEO, and video production services. Some of the links contained on this blog are affiliate links. Thanks for clicking -- they help keep Mousebreath up and running. © 2019 Mousebreath Magazine. All rights reserved. Premium WordPress Themes.